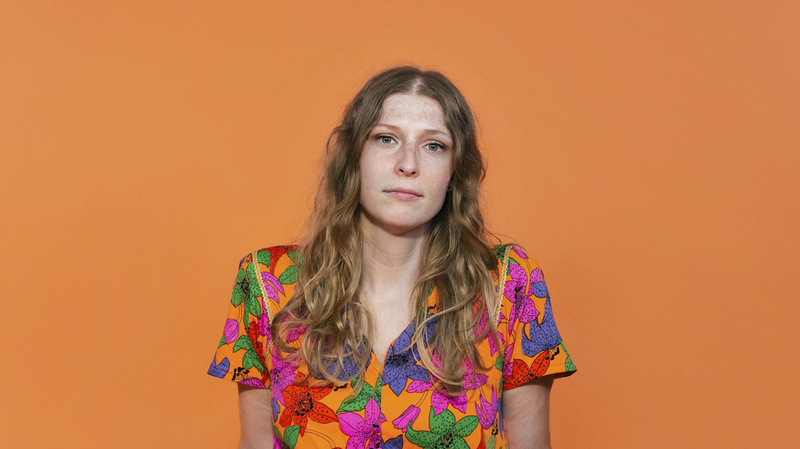 Liz Cooper & The Stampede's 'Window Flowers' Channels Classic Sounds To Soar Liz Cooper & The Stampede's debut record features a gorgeously arranged bouquet of psychedelia-tinged folk-rock. Liz Cooper & The Stampede's new album, Window Flowers, comes out August 10. The songs on Nashville-based Liz Cooper & The Stampede's debut full length record, Window Flowers, are a gorgeously arranged and performed bouquet of psychedelia-tinged folk-rock. Each song possesses its own unique musical coloring, adeptly performed by Cooper on guitar, bassist Grant Prettyman and drummer Ky Baker, with an assortment of guest players including backing vocalist Leah Blevins and Howling Tongues keyboardist Thomas Wainwright. Most of Window Flowers was recorded at Welcome to 1979, a spacious, vibey vintage recording studio in West Nashville. Housed in a former record pressing plant, it's a studio that, when you walk into it, you feel like you're taken back into a time when the feel and gear of a studio was the secret ingredient of making a great record. There's no doubt the studio gave Cooper's record a suspended-in-analogue-time depth but sounding so current. Liz Cooper grew up listening to her share of classic rock. While the influences of The Allman Brothers Band and the Grateful Dead are likely to be indirect, there's an "Attics of My Life" musical quality to songs like Cooper's "Kaleidoscope Eyes," a breezy, pensive look into the "cracks of my mind." "Hey Man" is a full on rocker, "Mountain Man" grabs hold of ethereal harmonies a la Fleet Foxes, and "The Night" sways with a magical lilt, and a gorgeous violin solo by Emily Kohavi. But if I were to draw a line from Window Flowers to any period of rock and roll, it would be that of the Paisley Underground and bands like The Dream Syndicate, where beautiful and languid psychedelia met moody folk and rock based songs. Cooper taps into this and more on her debut, wrapping her reverbed vocals in swirling, warm echoes of sound and nuanced musical lushness thanks to the addition of keyboards, pedal steel, a glockenspiel here and a banjo there. Cooper and the band are also incredibly accomplished at leveling up a song at just the right moment. A perfect example of this is "Light," when at about two minutes in, Cooper kicks out a soaring guitar solo that shifts the song into high gear. The album's highlight — the slightly over seven minute "Dalai Lama" — anchors the record, with a long stoner jam workout that never once loses its way on its way towards transcendence. Window Flowers ends on a quiet, contemplative note. "Walls of White" is a straight-up acoustic love song. "I cannot shake the thought of what could be / 'Cause all along you were the one for me," laments Cooper. After the song ends, the tape still rolls, she gets up out of her creaky chair and says, "Uh, buh-bye now," leaving the room as the door shuts behind her. And then you go back to putting the record on once more time.